Star Wars was given some much deserved acknowledgements at the 43rd annual Saturn Awards, which was held in Burbank, California in last night! The event was hosted by Guardians Of The Galaxy star Sean Gunn and presented accolades to an assortment of film and television productions. Among them were the most recent Star Wars film, Rogue One: A Star Wars Story, and the ongoing animated series, Star Wars Rebels. Rogue One received several nominations, including nods for Best Film Make-Up, Best Film Costume Design, Best Film Music, Best Film Production Design, and Best Film Editing. Rogue One stars Felicity Jones and Diego Luna were also nominated for Best Actress in a Film and Best Supporting Actor in a Film, respectively. Ultimately Rogue One took home the awards for Best Science Fiction Film Release and Best Film Visual / Special Effects, coming out ahead of other contenders such as Passengers, Arrival, Doctor Strange, The Jungle Book, and Star Trek Beyond. Rogue One director Gareth Edwards won the award for Best Film Direction and was on hand at the event to receive them. In addition, Star Wars Rebels, which will began its fourth and final season later this year, was presented with the award for Best Animated Series or Film on Television. 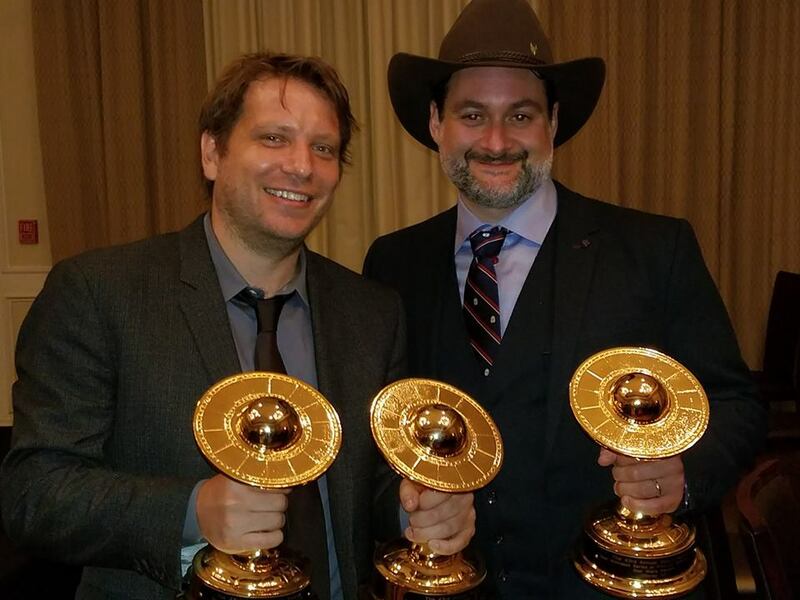 Co-creator and executive Producer Dave Filoni was in attendance and accepted the award in person. Congratulations to the cast and crews of Rogue One and Rebels for these much deserved awards!